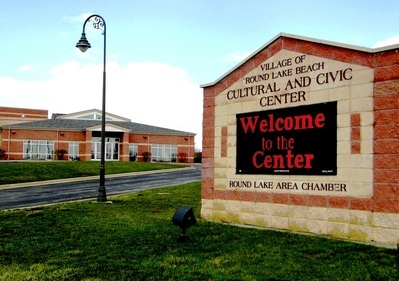 The Cultural and Civic Center has a variety of creative opportunities for individuals, businesses, and organizations to support the Center. Our brochure and letter below detail the incentives becoming a Friend of the Center provides. If you would like additional information about our Sponsorship Opportunities or would like to be notified of updates to our program, please contact the Center by calling 847-201-9032, emailing rlbeachcenter@roundlakebeachil.gov, or filling out the form below. You can also stop by the Center during business hours to talk to one of our associates. Please use the link below to download further information. You can also support The Center by choosing "Friends of the Center - NFP" as your AmazonSmile charitable organization. Amazon will then donate 0.5% of the price of your eligible AmazonSmile purchases to The Center!